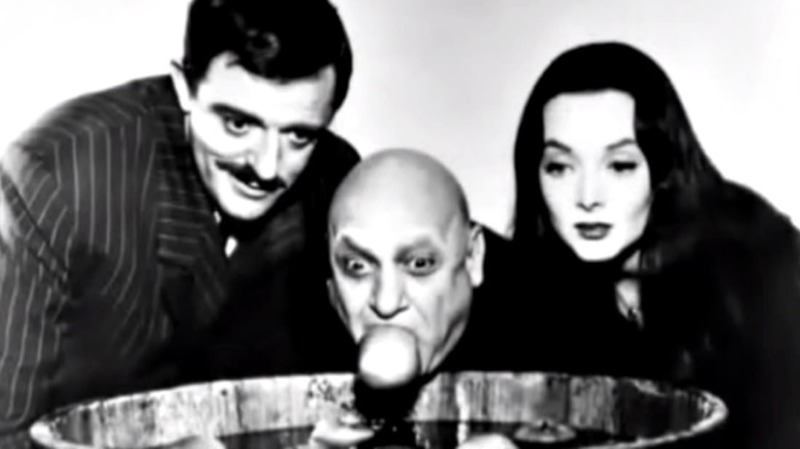 They may have been mysterious and spooky, but even after half a century off the air, The Addams Family is still one of the most beloved sitcoms of all time. If the theme song still has you snapping your fingers, read on for a few facts about the creepy clan. 1. THE SERIES WAS BASED ON A NEW YORKER CARTOON. Freelance illustrator Charles Addams began his relationship with The New Yorker on February 6, 1932, when they paid him $7.50 for a cartoon about a window washer. The first cartoon with Addams Family-style characters appeared in 1938—one of only about two dozen cartoons featuring the macabre clan. 2. THE CHARACTERS DIDN’T HAVE NAMES UNTIL THE TV SHOW. 3. JOHN ASTIN WAS ORIGINALLY CONSIDERED FOR LURCH. 4. THE ACTRESS WHO PLAYED GRANNY FRUMP WAS FAMILIAR WITH PLAYING WITCHES. Morticia’s seldom-seen mother, Granny Frump, was played by Margaret Hamilton. Hamilton is best known for her role as the Wicked Witch of the West in The Wizard of Oz. 5. LURCH WAS INTENDED TO BE MUTE. 6. JACKIE COOGAN, A.K.A. UNCLE FESTER, HAS A LAW NAMED AFTER HIM. Coogan was a child actor who played the title role in Charlie Chaplin’s The Kid. Unfortunately, his parents grossly mishandled his earnings, and by the time he was 21 years old, he was practically penniless. His case inspired the Coogan Law, legislation in certain states (including California) that requires that 15 percent of all minors’ earnings be put into a trust fund, called a Coogan Account. 7. COUSIN ITT WAS INTRODUCED BY PRODUCER DAVID LEVY. 8. THE CAST DIDN’T GET ANY RESIDUALS FROM THE RERUNS. 9. ADDAMS MADE ABOUT $1 MILLION FROM THE SHOW. Between episode payments, reruns, and residuals, Addams made $141,276—about $1,073,074 in today's dollars. It would have been a bit more, but as part of his divorce settlement, the cartoonist agreed to give 10 percent of his cut of the show to his ex-wife. 10. THE ADDAMS FAMILY'S HOUSE WAS REAL. The house we see in the opening credits was a real house, located at 21 Chester Place in Los Angeles. To make it a little spookier, special effects technicians added a third floor with a tower. The house was demolished sometime between 1968 and 1972. 11. THEME SONG WRITER VIC MIZZY PENNED ANOTHER FAMOUS TV SONG. Just one season after The Addams Family debuted, Vic Mizzy wrote the memorable song for Green Acres. 12. THE NEW YORKER REFUSED TO RUN THE CARTOON WHEN THE SHOW CAME OUT. Despite the fact that Charles Addams had been illustrating the creepy characters for The New Yorker since 1938, the esteemed publication didn’t want to be associated with the television show. Still, Addams was occasionally able to sneak them into other cartoons he drew for the magazine. 13. THE SHOW WAS CANCELED AFTER TWO SEASONS.